Here are the tools that I used. This is a time lapse/maker video of the DIY Hi-lift Shackle Mount Attachment that I made. I just used components, and materials that were laying around. 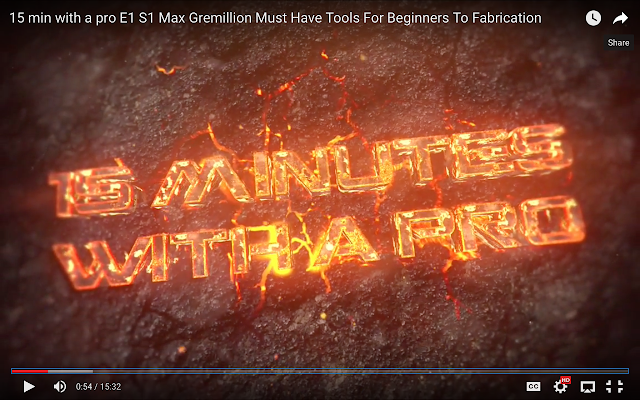 I have a tutorial video explaining the full process, materials used, errors made, and what I would change for next time. That video will be available for patreon members only. You can become one for just $1. Check the link to find out more. A Great Starting Point For Beginners To Mig Welding! 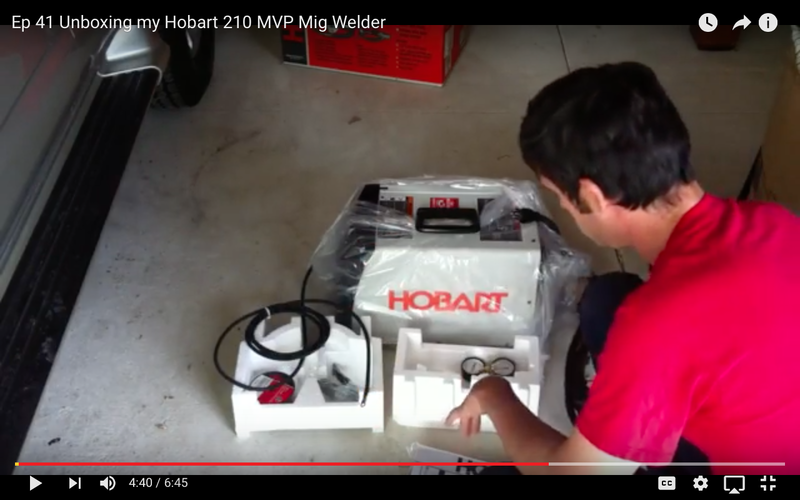 If you're interested in owning the Hobart 210MVP, check it out here: http://amzn.to/2vFpfNH (AMAZON AFFILIATE LINK) For other helpful welding tools that are good to have, check the bottom of the article. So, I know a few people have mentioned recently that they have just purchased a mig machine, or they are just getting around to learning how to use the mig welder they have. First off, Congrats to you all! Welding can be an AWESOME (as in awesomely painful... LOL!) experience. 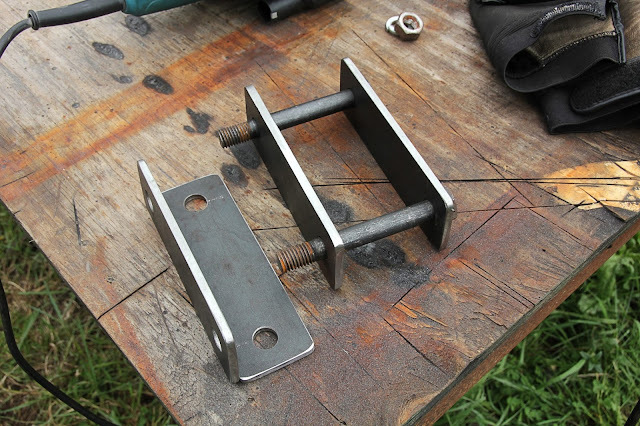 -How to set up your welder for solid wire/fluxcore. To help you get started with this process, I thought I'd share a video series from Welding Tricks and Tips on the Basics of Mig Welding. In the first video, the first 2/3rds are focused on the Hobart 210 MVP machine, or so it would seem. Really though, the principles that Jody mentions are very applicable to most mig welders. So, I suggest spending the time to watch the whole video. The last 1/3 of the video is about diagnosing your weld and how to know what's going on with your wire feed speed. I think this will help a lot of you guys that are just getting started. In fact, I re-watched it, and it reminded me a few points I had just forgotten about. For instance, one (there are many) way to get the drag tensioner set on the wire feed and spool. I hope you guys enjoy the vid and can learn something from it. If you liked Jody's video, this is the first of a whole playlist. Check them all out. For sometime now, I've been wanting to get a new, good mig welder. Well, when things in our lives changed and I found myself back in the States, I also found myself without a welder. Therefore, it was time for a new one to be procured. Deciding on what welder to get, was somewhat of a challenge. After talking to a number of fabricators, I was reminded of the main differences between most of the bigger brands, and I decided on buying the Hobart 210 MVP. Hobart's 210 MVP is the more economic version of the Miller 211. A few differences between each of the machines can be found in different aspects. For instance, the Miller 211 has a few special features that the Hobart doesn't. Such as Auto Set wire speed. Hobart's 210 MVP has a lesser quality mig gun, is a bit cheaper built internally (so it seems), and the Miller 211 has a bit more robust exterior. All of which are decent reasons for the Hobart being a bit lower in price than the Miller counterpart. Even with these differences, I want to make it clear that the Hobart brand, and the 210 MVP, have good reputations for being reliable machines that last a good while. Even when used in manufacturing settings. Because of all these factors, and many more that I will cover in the near future, I chose to purchase the Hobart machine over other options. Below, you will see Beginners Fab TV episode 41 where I unbox a brand new Hobart 210 MVP, and show you what comes in the box. If you are interested in purchasing a Hobart 210 MVP, I found the following sites to be good options. These sites have consistently been the lowest priced sites I've seen. When it come to cheap tools, you never really know what you're gonna get. In fact, some cheap tools seem to run forever, while others don't run straight out of the box. So, you could say, that buying "budget tools" is a bit of a gamble. What really is the difference between the "pro quality" tools, hobbyist tools, and cheap/budget tools? Put simply, everything...but we'll talk a bit about that in the future. 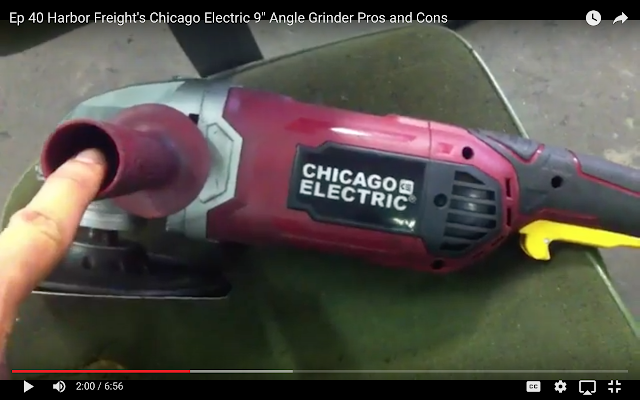 What we are going to talk about now, is the Harbor Freight 9 inch, Chicago Electric brand angle grinder. Funny enough, when Harbor Freight started to pop up in different areas, everybody was really divided on the tools they sold. People either hated them, or they thought they were "good enough" for their purpose. Some people even liked them. There was also a lot of talk about how, "you'll never find a HB tool in my shop or garage..." Funny thing is, many of these same people now own more than one HB brand tool in there kit. So, how good are they really? Recently, I had the opportunity to directly compare, in a "real work" environment, the differences of the Harbor Freight 9 inch angle grinder to a Hitachi, and Dewalt 9 in angle grinder. The differences...many. The qualities...varied. 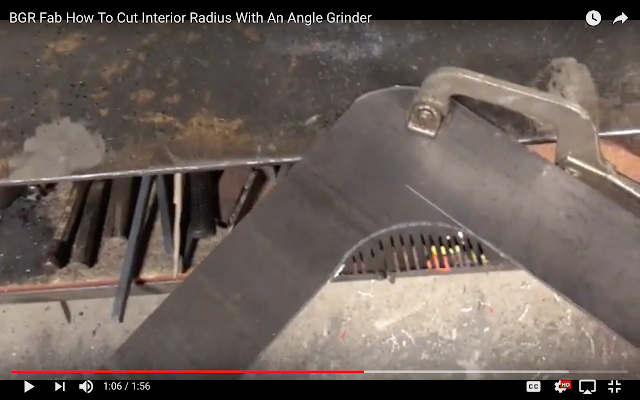 My overall thoughts on the Harbor Freight 9 inch Angle Grinder... Well, you'll need to watch the video to find that out. So, click on the episode of Beginners Fab below, and see what I have to say on the matter.